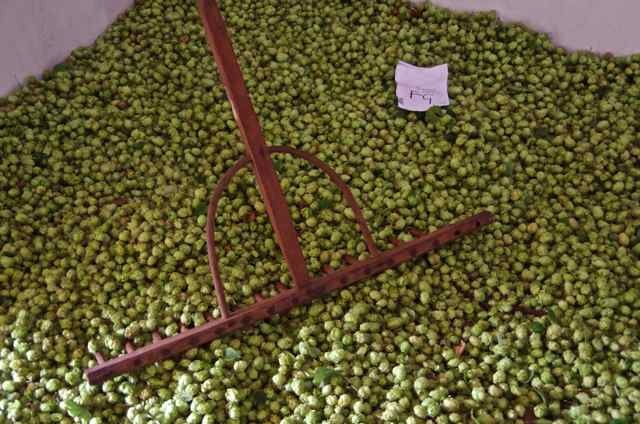 This year’s Modern and Heritage Hop Varieties for the home brewer have been selected, all that remains now is to complete picking, drying and packing them all. Hop-picking is always an exciting busy time but nothing can be guaranteed until the crop is safely in the bag, quite literally! The four varieties offered in the draw earlier this year, as expected were all very different once in hop. For consistent performance, the star of the show this year has to be the Northern Brewer hop variety. The setts grew away before the other varieties and it was the first variety of the four to come into hop. The individual hops grew out well and definitely had the largest cones. The 20 Northern Brewer plants were picked at the beginning of last week. Below Northern Brewer hops. 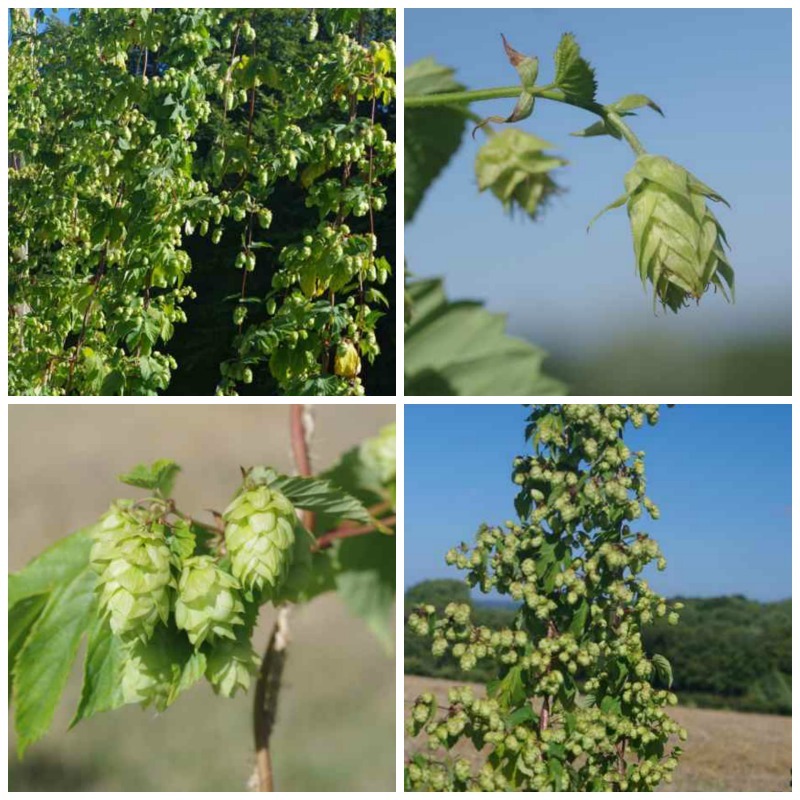 The First Gold hop variety which was Ashley’s choice as winner, were also looking good at the back end of the growing season. As the only dwarf variety, the bines may have been short but they more that made up for this lack of stature by being covered with hops top to toe. So that kilo of dried hops for the winner was secured this week. Hurray, I am hugely relieved and hope Ashley is pleased with them and has enjoyed his year following their progress as a virtual hop grower. The only downside was the picking which wasn’t even a problem. 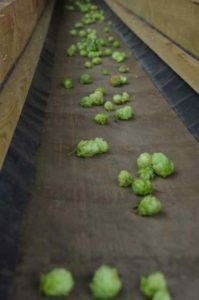 The hop machine was designed to pick tall hop varieties, so picking those shorter bines meant the first 2.5 foot did not get picked properly. This was easily rectified by putting the bines through the machine again upside down! The Bullion hops definitely had the bona fide Bullion aroma early on, they were the first of the varieties to have a nose to them. They have grown away well and like the Northern Brewer all the plants grew evenly throughout the year. They were picked along with the Northern Brewer at the beginning of last week. 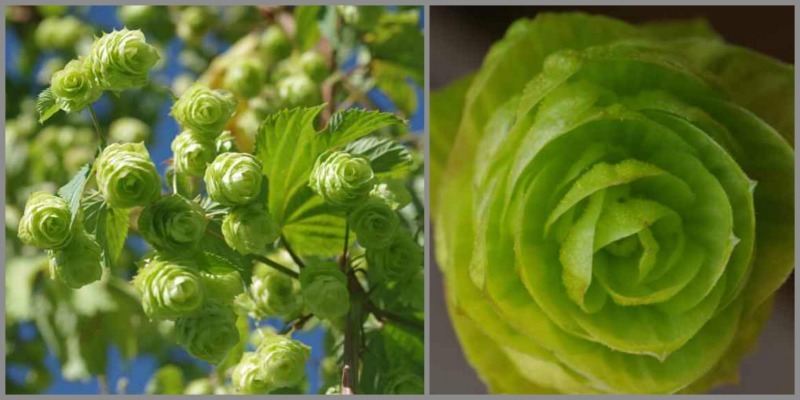 However the Chinook hop variety also chosen with home brewer in mind were the slowest of these four offered to grow away this Spring, they were also the last to come into burr. I will not pick these this year but allow them to ‘grow and blow’ so they can gain strength for next year. The full-on aroma of the Chinook hops is quite powerful. But then it should have some oomph, after all it is the Brew Dog’s number 1 favourite hop. All the photos below were taken on 22nd August so you can clearly compare the differences between them at that stage. Clockwise from the top left are Northern Brewer, Chinook, First Gold and Bullion. This has not been a ‘normal’ growing year. However, the long cold wet spring with little sunshine did help the young hops establish simply because the ground stayed moist for longer than usual. 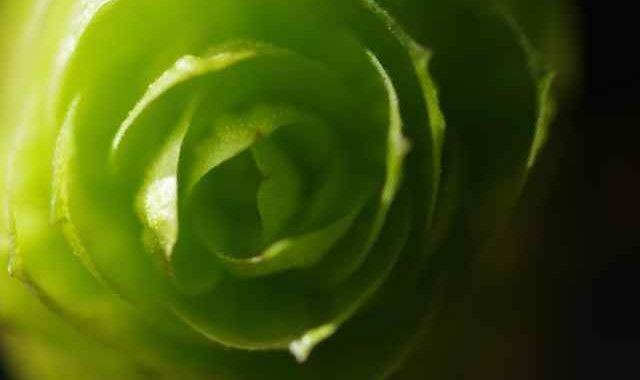 Generally, across most varieties we noticed the burr was slower dropping out into hop. This was probably due to the combination of very dry conditions combined with the sudden very hot sunshine at that crucial time, but that is this year and every year is different. Another of the Heritage hop varieties for the home brewer is the Keyworth Early variety, the swirled rosette shaped ends of these cones are pretty. This variety was also picked this week. I have often wished there was a reference book for the different hop varieties. 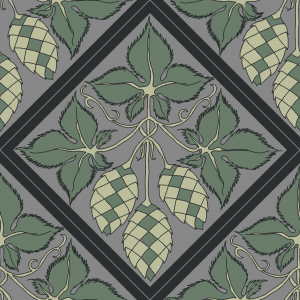 Julian Healey’s ‘Hops List’ has ticked that box, he has listed 265 different hop varieties from a brewing perspective. He set himself a pretty awesome task to brew and taste all those hops. It is available as an ibook or for Kindle via Amazon, who described The Hops List as ‘the world’s most comprehensive hop dictionary’. I don’t own a kindle and being a bookworm prefer to sit down with a cup of tea and browse, so will await the paper version with anticipation. At the end of hop picking I will list any other heritage hop varieties for the home brewer which have been picked. Some varieties will be in very limited quantities so it will be on a first come first served basis. 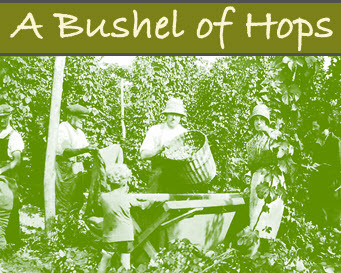 This seasons hops will be ready for despatch from beginning October onwards. 2015 hops are no longer available.